Data from NASA's Cassini spacecraft has revealed what appear to be giant dust storms in equatorial regions of Saturn's moon Titan. The discovery, described in a paper published on Sept. 24 in Nature Geoscience, makes Titan the third Solar System body, in addition to Earth and Mars, where dust storms have been observed. The observation is helping scientists to better understand the fascinating and dynamic environment of Saturn's largest moon. 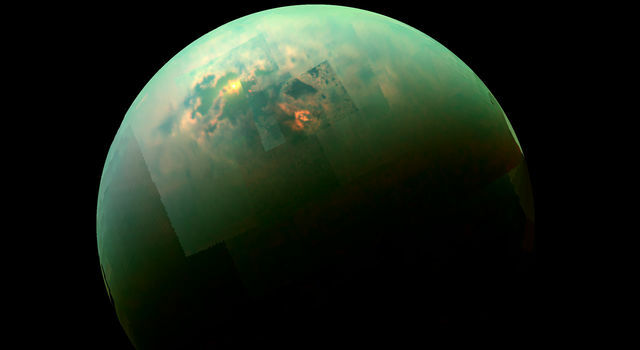 Titan is an intriguing world -- in ways quite similar to Earth. In fact, it is the only moon in the Solar System with a substantial atmosphere and the only celestial body other than our planet where stable bodies of surface liquid are known to still exist. The weather on Titan varies from season to season as well, just as it does on Earth. 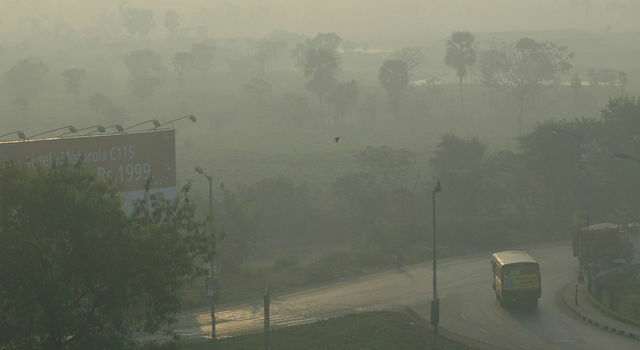 In particular, around the equinox -- the time when the Sun crosses Titan's equator -- massive clouds can form in tropical regions and cause powerful methane storms. 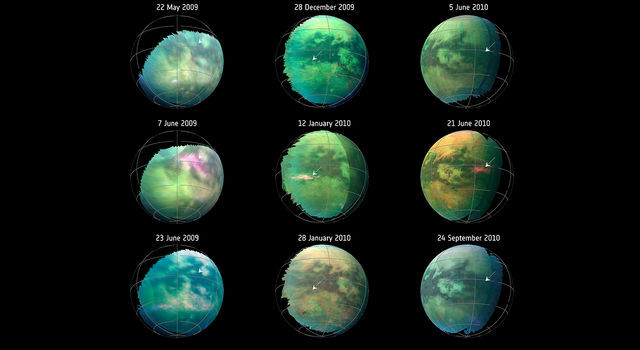 Cassini observed such storms during several of its Titan flybys. When Rodriguez and his team first spotted three unusual equatorial brightenings in infrared images taken by Cassini around the moon's 2009 northern equinox, they thought they might be the same kind of methane clouds; however, an investigation revealed they were something completely different. "From what we know about cloud formation on Titan, we can say that such methane clouds in this area and in this time of the year are not physically possible," said Rodriguez. "The convective methane clouds that can develop in this area and during this period of time would contain huge droplets and must be at a very high altitude -- much higher than the 6 miles (10 kilometers) that modeling tells us the new features are located." In addition, modeling showed that the features must be atmospheric but still close to the surface -- most likely forming a very thin layer of tiny solid organic particles. Since they were located right over the dune fields around Titan's equator, the only remaining explanation was that the spots were actually clouds of dust raised from the dunes. "We believe that the Huygens Probe, which landed on the surface of Titan in January 2005, raised a small amount of organic dust upon arrival due to its powerful aerodynamic wake," said Rodriguez. "But what we spotted here with Cassini is at a much larger scale. 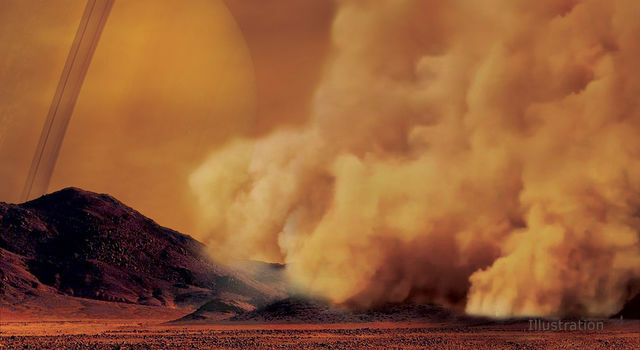 The near-surface wind speeds required to raise such an amount of dust as we see in these dust storms would have to be very strong -- about five times as strong as the average wind speeds estimated by the Huygens measurements near the surface and with climate models." The results were obtained with Cassini's Visual and Infrared Mapping Spectrometer. The Cassini-Huygens mission is a cooperative project of NASA, ESA (European Space Agency) and the Italian Space Agency. 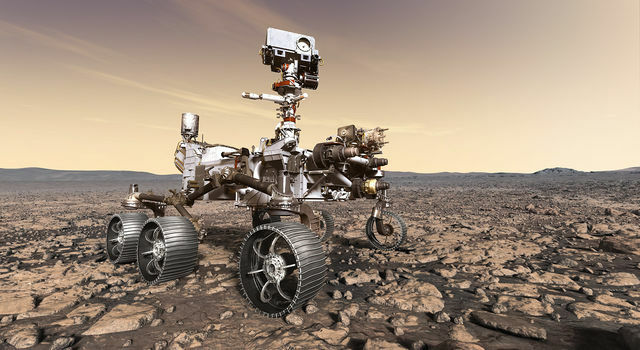 NASA's Jet Propulsion Laboratory, a division of Caltech in Pasadena, California, manages the mission for NASA's Science Mission Directorate in Washington. The Cassini spacecraft deliberately plunged into Saturn on Sept. 15, 2017. 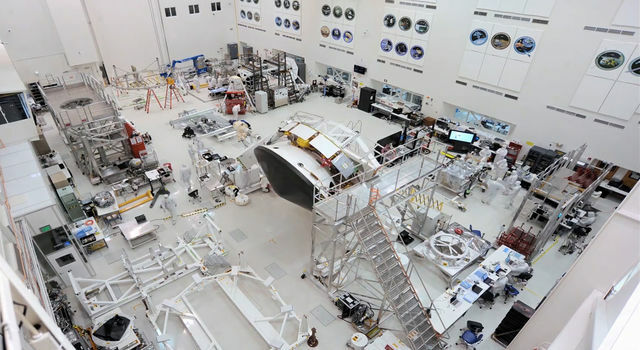 JPL designed, developed and assembled the Cassini orbiter. The radar instrument was built by JPL and the Italian Space Agency, working with team members from the U.S. and several European countries.